Free Supermarket Turkey is Easy. Donating is Harder. Why? – StratGo Marketing. Plug-in marketing department services. Free Supermarket Turkey is Easy. Donating is Harder. Why? 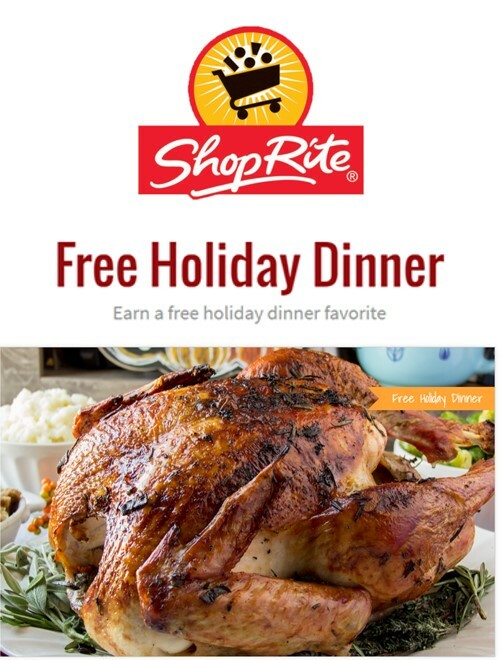 Free turkey promotions are common at USA supermarkets leading up to the Thanksgiving holiday. But something’s missing: providing shoppers with an easy donation option. I was next in line at a ShopRite supermarket the other day when the woman in front of me asked the cashier/bagger team: Is there a way to donate my free turkey? What a great question, I thought. And missed opportunity – to foster a charity spirit and help those less fortunate at a point in time. Free turkey award programs have seemingly been around for decades. Supermarkets use the promotion to drive traffic and encourage consistent, repeat customer loyalty. Evidently it works. It’s typically done in the fall leading up to Thanksgiving, but sometimes it’s done in the Spring as well (Easter/Passover season). Other items such as hams are often part of the offer. But not everyone needs or wants a free turkey, and/or sometimes you just want to be generous. Perhaps that was the case for my line-mate, as she paid for her $300+ order. My first reaction is that there’s probably an easy way to use technology to facilitate the donation option for customers. Especially for a sophisticated merchant such as ShopRite, which is part of the well-run Wakefern cooperative. ShopRite already has donation programs (including with food banks and in conjunction with an NFL team). Why not incorporate a customer donation option as part of its existing programs? Tally up all those who want to donate their turkey and just add that number to the giveaway total. I realize there would be some logistical issues to overcome. However, ShopRite and/or its local partners should be able to cost-effectively solve them. By the way, that woman in line was given a friendly but not super convenient answer. Consider her local church as a donation option. And, she was told, sometimes the local radio station was outside to help – whatever that means. She noted that ShopRite has donated more than one million pounds of Thanksgiving turkeys since starting their donation efforts about ten years ago. Good job, ShopRite. At the same time, think about finding a way to boost that total by adding an easy, automatic option for customers who wish to donate their free turkey, but may not have the time or wherewithal to find and deliver to a local organization.